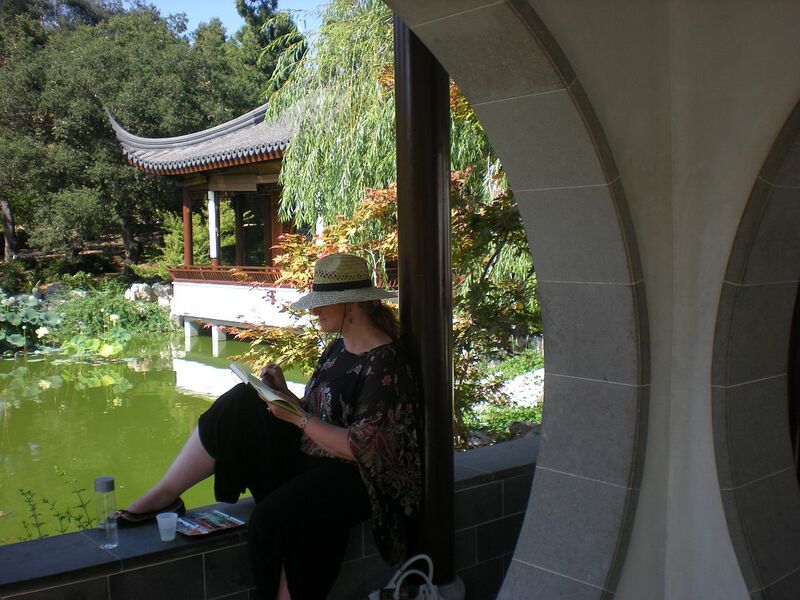 Anyway, I loved the Huntington Botanical gardens and especially the Chinese Garden! This is a proper Chinese Garden, with a balance between Ying and Yang observed in all details. I painted the lotus flowers there, here you can see them in the background while I am making a water color sketch. How lovely to see the artist at work. Great photo!